You will be prompted to select a location on your local machine (default location is recommended). You can also provide a passphrase to protect your private key at this time, if required. 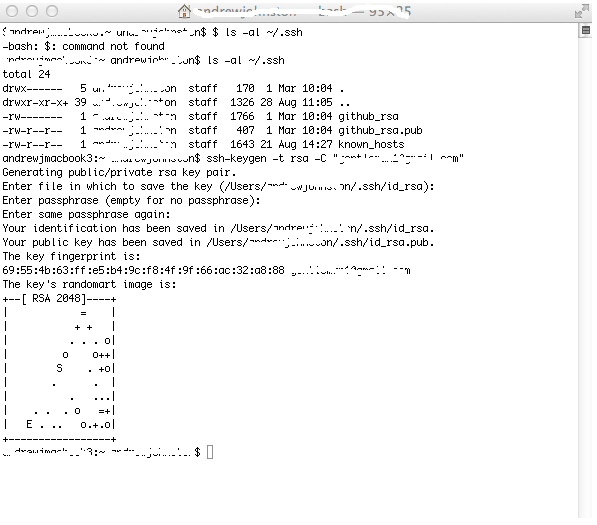 Note: you can use the command “ssh-add” to add the newly created keys to the key management agent on MAC. This will remove the need to provide the passphrase when connecting to the SFTP server. You need to add the newly created public key to the .ssh/authorized_keys directory of the remote server that ExpanDrive will be connecting to. At this point, the public key should have been copied correctly to the remote server, and you should be able to connect Expandrive via SFTP by importing the ssh key file to ExpanDrive. To follow this procedure, click here.